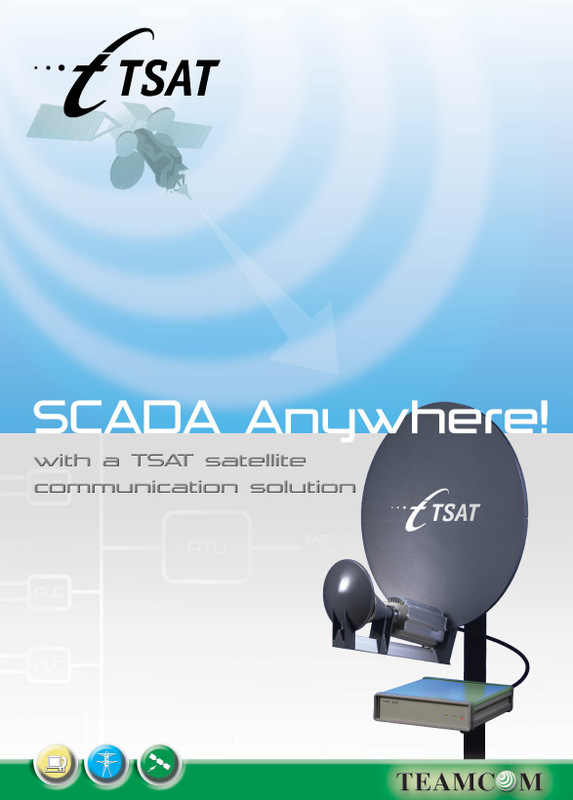 SCADA Anywhere with a TSAT satellite communication solution! The TSAT 2150 Satellite Communications Network offers innovative cost-effective solutions for remote control, monitoring and data collection within SCADA networks. Traditionally SCADA networks have been relying on PSTN and radio link solutions to connect RTUs. However, TSAT's low cost HUB makes networks of all sizes affordable, even for smaller utilities and operators. The TSAT 2150 is ideal for scalable systems, which may start with a small network and expand to a large one as the SCADA network grows. 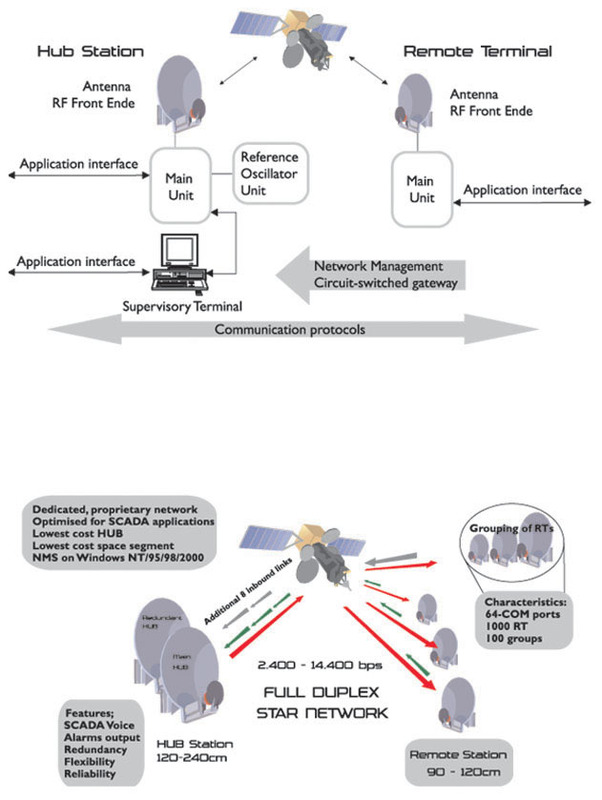 Due to TSAT's narrow bandwith and low power output, the cost of the space segment becomes almost negligible. 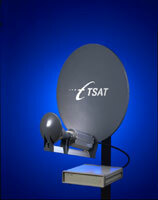 The low satellite transponder capacity and the low cost HUB makes the TSAT 2150 unique in the VSAT market. The ultra-small bi-directional satellite communication system TSAT 2150 is designed specifically for low data rate communications in the Ku-band. In a closed user group system, the TSAT 2150 ensures continuous access to and complete control of the communications network. In addition, TSAT 2150 comes with a variety of options, like full HUB redundancy for safety-critical applications, additional inbound link options for increased communication capacity, sleep mode option for low-power concumption as well as a voice option. Electric Power - Automated meter reading, substation automation, automatic switching operations, earth fault detection, transformer monitoring, etc. Oil & Gas - Pump and valve control, flow measurement, pressure and temperature monitoring, leak detection, corrosion monitoring, gas pipeline and distribution control and monitoring, offshore platforms monitoring and control, etc. Water - River, dam and reservoir level control, water flow, flood warning systems, dike management, coastal monitoring, etc. Environment - Rainfall, wind, temperature, atmospheric pressure, pollution / gas detection, lightning, earthquake, etc.